On 3 December 2018 Regulation (EU) 2018/302 entered into force intruducing measures to prevent geographical blocking and other forms of discrimination of customers based on nationality, place of residence or place of establishment within the internal market . 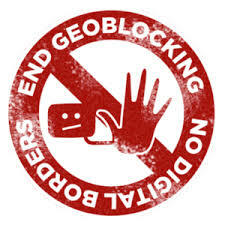 This is an important measure that contributes to the creation of the Digital Single Market that will support the development of cross-border e-commerce by breaking down unjustified geographical blocks, put in place by some suppliers of goods and services, which can give rise to discriminatory commercial practices. 3.	purchase forms (telematic order forms) must give the possibility to send the order to all Users of another Member State. •	in the sale of services that consumers receive in the place where the merchant operates, including staying in a hotel, renting a car or participating in a sporting event. However, the regulation does not provide for the harmonization of prices at Community level and consequently traders will remain free to set prices, provided they are non-discriminatory. It is important that Consumers and Companies are aware of their rights, their duties and the limits of the Regulation, which intends to contribute to improving the market without impacting or burdening operators by creating fair access conditions.